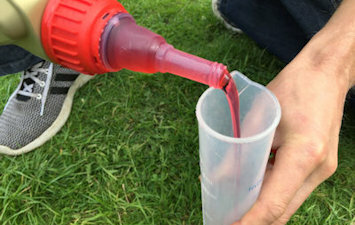 Over the years I've tested lots of different 2 stroke oils. Before I started flying I rode motocross bikes for 14 years, and as a broke kid I tried lots of cheap oils. Here's what I've discovered from my own experience, and from lots of research. We'll also look at a the 7 most popular choices in the sport! When you walk into the supermarket and see those super cheap bottles of 2 stroke oil on the shelf, it's really tempting to grab a few. After all; you can get 4 litres of the cheap stuff for the price of 1 litre of the premium oil, so why not? I've never ran cheap 2 stroke oil in my paramotors, so my experience of cheap oil goes back to my motorcycle days. Dirt bike engines are exactly the same as paramotor engines so they're a perfect comparison. In the motocross community many people will tell you they've used cheap oil for many years without seizing an engine. As a kid I always used cheap oil with no problems, but I never kept bikes for long. Large flakes of carbon would build up in the exhaust system which would zap power. Carbon would build up around the spark plug meaning I had to clean them regularly. Cylinder heads and pistons would need cleaning periodically to remove carbon. The build up caused serious preignition on one of my bikes! I spoke to my local bike repair shop about this and was told it could be the 2 stroke oil I was using. So I bought the best oil they had at the time, which was Castrol TTS, now also known as Castrol Power 1 racing in the UK. I started using the oil and immediately noticed far less smoke from the exhaust. And over the next few months of daily use, the bike had very little carbon build up compared to the cheap oil. 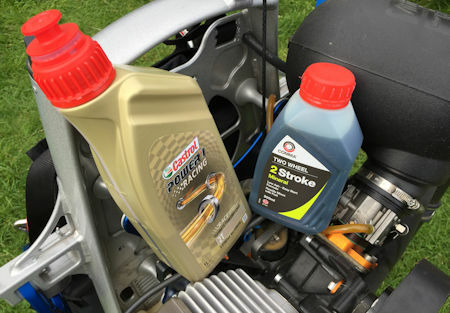 So, should you buy the premium 2 stroke oil? My experience with cheap 2 stroke oil told me that you can most definitely expect more carbon to build up in your engine and exhaust system. Other people report the same, I've also read of gunging in the carburettor, and destroyed oil pumps. Fortunately we don't have to worry about oil pumps with paramotors, but a gunged up carburettor could eventually mean an emergency landing. 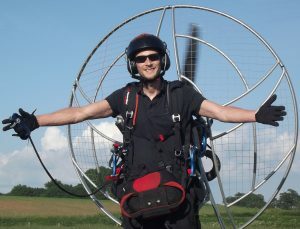 Paramotors also differ from bikes because we're normally cruising along at very low RPM. A dirt bike will normally be screaming it's cogs off at 10,000 RPM. This means paramotors are even more prone to carbon build up simply because they aren't burning it away. I regularly remove my exhaust in my Vitorazzi Moster Plus to change the exhaust bush, and there is still no carbon build up in over 150 hours. I've ran it on Castrol Power 1 Racing from day one so I definitely recommend this oil. You should also bare the JASO rating in mind, you'll find this on the back of the bottle. JASO is the highest possible rating for 2-stroke oils which shows that it's passed certain quality tests. JASO FA – original spec established regulating lubricity, detergency, initial torque, exhaust smoke and exhaust system blocking. JASO FB – increased lubricity, detergency, exhaust smoke and exhaust system blocking requirements over FA. 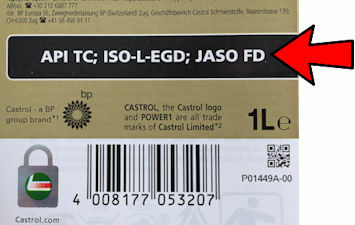 JASO FC – lubricity and initial torque requirements same as FB, however far higher detergency, exhaust smoke and exhaust system blocking requirements over FB. JASO FD - same as FC with far higher detergency requirement. What about the really expensive stuff? It gets to a point where it's really not worth spending the extra money. The oils listed below are what you should be aiming for. If you buy the super expensive stuff you'll end up spending the same in the long run as you would on a full top end rebuild, so is it really worth it? For me it's a no! ,According to the most popular paramotoring forums online, these are the seven most used and recommended oils amongst pilots. All of these are also very highly rated on Amazon as you can see at the links. Check it out on Amazon, CLICK HERE. 100% synthetic lubricant, Ester technology, specially engineered for high performance engines running at high rpm, perfect oil film resistance to protect against wear. Improved power output, minimise engine internal friction. Ultimate in two-cycle performance with extreme cleanliness. Popular in racing and daily applications like motorcycles marine snowmobile racing etc. Dyno proven for gains of 3-5% and more power over longer runs. High-temp stability prevents carbon deposits on combustion chambers exhaust ports upper ring and piston crown. Provides maximum and sustained engine performance even at wide open throttle and high engine speed conditions. Delivers superior protection against thermal and machanical breakdown. The Dominator does a wonderful job at protecting high performance engines. It's a guarantee of safety for professional racing teams when a lot depends on the quality and reliability of the oils. Excellent resistance for a hot summer when the engines reach high RPMs for long periods. Anti-abrasion formula for maximum power, and burns clean. Greater reduction in carbon build-up. Lubricant used for Motocross Grand Prix by the major Teams. Very high lubricating properties which decreases friction and wear. Improved formulation. reinforced desemulsion properties. Keeps engines and exhaust power valves well lubricated. Prevents piston rings and exhaust power valves from sticking. A fully synthetic high performance 2-cycle mode motor oil with motor racing technology. The special formula supports a quick combustion of the mixture as well as an excellent throttle response with a constant high anti-wear protection. For all modern 2-cycle engines with separate and mixed lubrication. Formula K2 is a very high performance 100 percent synthetic 2-cycle lubricant utilizing 2000 centistoke esters along with special additives to achieve outstanding levels of protection and cleanliness. Friction and wear, ring sticking and exhaust tract (power valve) carbon are virtually eliminated. Also provides higher levels of rust and corrosion protection. As previously mentioned, all of the oils listed above have very high ratings and are widely used by paramotorists. I don't think you'll go far wrong with any of these but I suggest you read through the descriptions of each and choose whichever one suits your type of flying best. For example the Motul 710 is said to have a lower flash point than the Motul 800. This makes Motul 710 the ideal oil if your engine is running at a low RPM resulting in lower engine combustion temperatures being reached. The excess oil is burnt up more efficiently, this prevents carbon build up and stops excess oil being blown out through the exhaust. So this may be a better choice for pilots flying very low RPM, as opposed to pilots that enjoy climbing full throttle for long periods to reach great heights. Thanks for checking out this post! 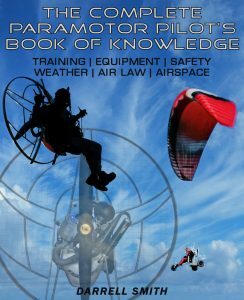 Take a look at my maintenance guide to keep your paramotor in tip top condition HERE.